HIMSS 2019 is upon us, February 11-15, in sunny Orlando, FL! We'll be attending to discuss our FHIR™ R4 compliant Distributed Terminology System 4.7, collaborate with our partners at Clinical Architecture, Booth 3973 and talk all things informatics with colleagues and partners. 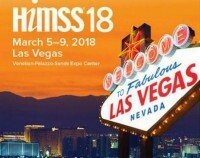 HIMSS 2018 is upon us, March 5 - 9, in fabulous Las Vegas! We'll be attending to show off the new DTS version 4.6, collaborate with our partners at Clinical Architecture, Booth 5754 and talk all things informatics with colleagues and partners. Apelon's Christie Johnson, APRN, will be presenting a poster at the 13th International Conference in Nursing Informatics in Geneva describing Apelon's work building SNOMED-based detailed clinical information models and how those models can be adapted for nursing-focused content. 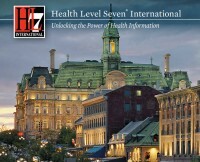 We hope to see you in Geneva!